Cabbage can be steamed, boiled or stir-fried, it is easy to overcook cabbage and spoil its texture and flavour so just cook until tender. 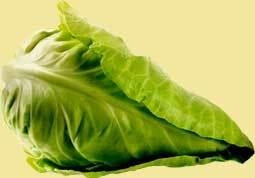 To steam cabbage, place in a steamer and cook for 5 - 10 minutes until tender but still crisp. To boil, bring a pan of water to the boil, add the prepared cabbage and cook for 5 - 8 minutes until tender but still crisp. To stir-fry cabbage, heat 1 tbsp oil in a frying pan, add the cabbage and stir fry for 4 - 5 minutes or until tender but still crisp.